I don’t know why, but some Indonesians are weirdly obsessed with making money (cari duit) online. 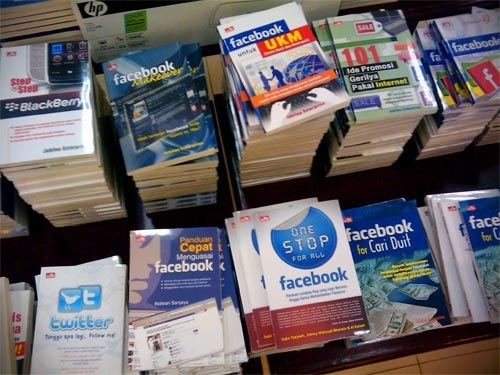 Can you imagine that someone was actually able to write a whole book on how to make money through Facebook and Twitter? Look at that pile! It’s embarassing.